Research from Which? has revealed that central heating engineers are widely trusted to do a good job, with three quarters (75%) feeling confident in the profession. While Plumbers also came in high at 73%, the survey showed that roofers and builders were considered the least trustworthy tradespeople. Four in 10 (38%) householders are said to not trust builders and roofers when employing them for the first time, making these trades the least trusted for domestic building work and repairs. In contrast, eight in 10 (80%) of those surveyed said they trusted the electrician they called in to make repairs and improvements in their home. The survey also asked people about their biggest worries when hiring a tradesperson, revealing that the largest concern was that they would not turn up at the agreed time, which was cited by six in 10 (62%). Poor workmanship and being taken for a ride were other top concerns, with over half (55%) worrying that a trader would do a bad job and a similar number (46%) anxious that they would be ripped off. Raj Kakar-Clayton, Managing Director of Which? Trusted Traders, said: “It can take a lot of trust to welcome a trader into your home, particularly if they’ve never worked for you before. Find a Which? 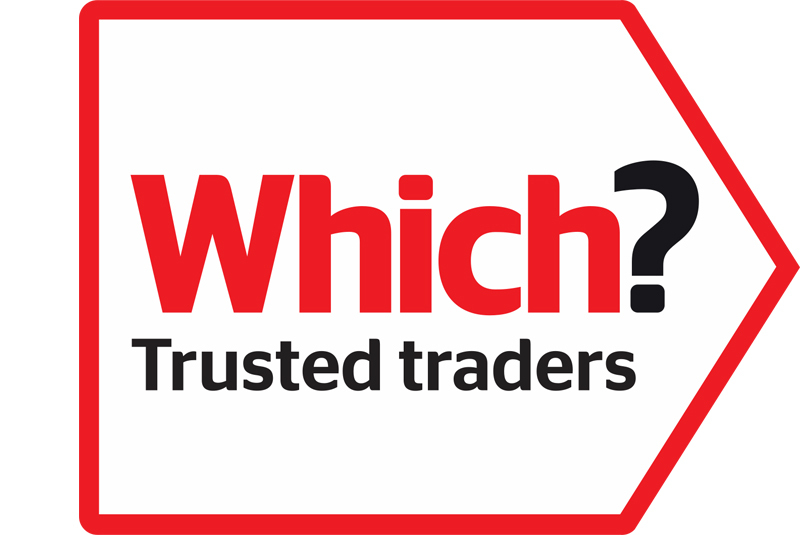 Trusted Traders endorsed trader in your area by using the search function on the Which? website. 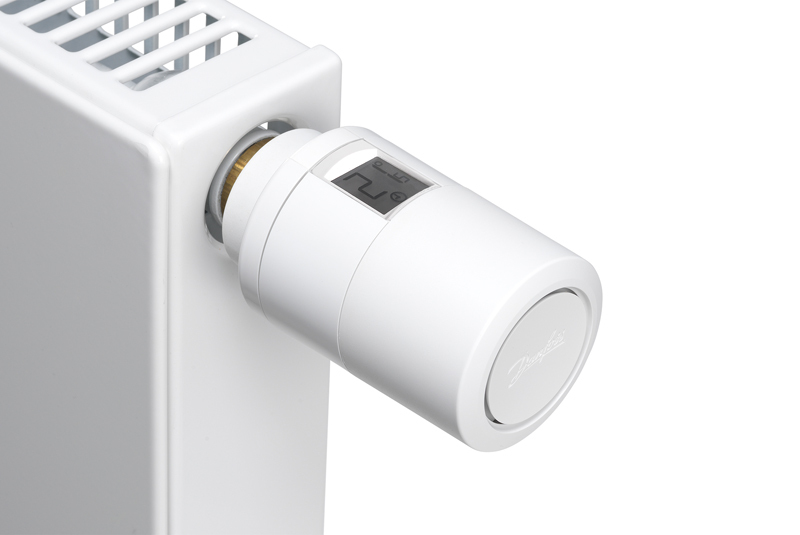 Fitting Individual room temperature controls, such as thermostatic radiator valves (TRV), has been announced among a number of requirements for new buildings, and existing buildings. Required in buildings where heat generators are being replaced, the new Energy Performance of Buildings Directive (EPBD) has said that all EU member states, including the UK, will have 20 months to implement the new Directive into national legislation. Gareth Ash, Marketing Manager for Danfoss, has welcomed the new requirements, stating that they recognise the energy saving value of low cost, short payback solutions like TRVs. A review of existing energy efficiency Directives is reported as finding that relatively low cost energy efficiency solutions, such as hydraulic balancing of the heating system and the installation or replacement of thermostatic control valves, were insufficiently considered. In order to achieve the intended building energy performance improvements in practice, the new EPBD has stated that the aim should be to improve the actual energy performance of heating systems, air-conditioning systems and ventilation systems under real-life use conditions. The actual performance of such systems is said to be governed by the energy used under varying conditions, such as part load operating conditions. With this in mind, the new Directive has defined that the installation of self-regulating devices (for example TRVs) should be considered for the separate regulation of the temperature in each room or, where justified, in a designated heated zone of the building unit. This requirement will be subject to the installation of such devices being technically and economically feasible. The new EPBD is hoped to demonstrate the EU’s commitment to developing a sustainable, competitive, secure and decarbonised energy system by 2050. Decarbonising building stock, which is responsible for approximately 36% of all CO2 emissions in the Union, is seen as key to meeting that goal. Gareth Ash has therefore said that Danfoss will be working with the European Building Automation Controls Association (EUBAC) to guide the industry through the new requirements as well as simplifying compliance for installers by offering a range of high efficiency heating controls. BLOCKED toilets and busted flushes are not the only things that Laura Swanston and Kate Milton are fixing. The pair, who quit well-paid desk jobs to start their own plumbing firm, are taking on the outdated stereotype that it is only men who wield the wrenches. The-all female theme is something they want to keep, with their long-term aim to take on a third woman to train up. She and Ms Milton, 34, who run Milton & Swan from home in Islip, specialise in designing and plumbing-in bathrooms and central heating. They juggled distance learning and practical training for City and Guilds qualifications – Ms Milton in plumbing and Ms Swanston in wall and floor tiling – with their old jobs. Ms Swanston was previously a project manager for Network Rail, while Ms Milton was a school sports co-ordinator. Both said they had been able to use skills from their old jobs, including project management. As New York City struggles to contain an outbreak of Legionnaires’ disease, two new U.S. government reports show the bacteria that causes the potentially deadly illness can take root in a myriad of water sources. Those sources can include poorly maintained hot tubs, water fountains and cooling towers, the researchers said. “The variety of settings and water sources implicated in the Legionella outbreaks reported here highlights the complexity of Legionella control . . . particularly in settings where susceptible persons congregate, such as hospitals, long-term care facilities, and other health-care settings,” Karlyn Beer, of the U.S. Centers for Disease Control and Prevention, and colleagues wrote. The New York investigation has pinpointed cooling towers used for air conditioning as the source of more than 100 illnesses and 12 deaths in the South Bronx. But across the nation, improperly treated drinking water accounts for a rising proportion of outbreaks, the CDC team said in one of their two reports. Two-thirds of 32 outbreaks of drinking water-related illness reported in 2011-2012 were traced to Legionella bacteria — twice the figure documented in 2007-2008, the researchers said. Improperly maintained building plumbing and private groundwater — not publicly regulated water supplies — were the culprits in those 2011-2012 outbreaks, according to the agency. Fourteen deaths and more than 430 illnesses occurred from Legionella in that period. “The key to preventing these outbreaks is maintenance of building plumbing systems,” according to Beer and her colleagues. Beer’s group conducted both studies published in the Aug. 14 issue of the Morbidity and Mortality Weekly Report, a CDC publication. Outbreaks often occur in hospitals or health-care facilities, “illustrating the disproportionate disease burden among hospitalized persons, who are more likely to be older or have underlying conditions that increase their risk of developing Legionnaire’s disease,” the team said in background notes. A type of pneumonia, Legionnaire’s disease strikes vulnerable people, especially the elderly and those with other underlying medical conditions, the hardest. It can cause coughing, wheezing and breathing problems, but it is not spread from person to person. It is typically treated with antibiotics, according to the CDC. Identifying and correcting flaws in plumbing systems, private wells and contaminated groundwater supplies could prevent many outbreaks and illnesses, the authors noted. New York officials and legislators are already working on tougher laws and regulations for cooling towers in response to the outbreak there. In the second report, the researchers said Legionella bacteria caused 15 of 18 outbreaks and 10 deaths associated with environmental or undetermined water exposures in 2011-2012. Four outbreaks occurred in hotels and motels, three in hospital settings and three in long-term care facilities. An office, a factory and a mobile home park also experienced outbreaks, the findings showed. Ornamental fountains were implicated in three of the outbreaks, the researchers found. Maintenance of water systems — including drinking water systems, hot tubs, decorative fountains and cooling towers — is necessary to prevent Legionella and other bacteria from growing, the study authors said. 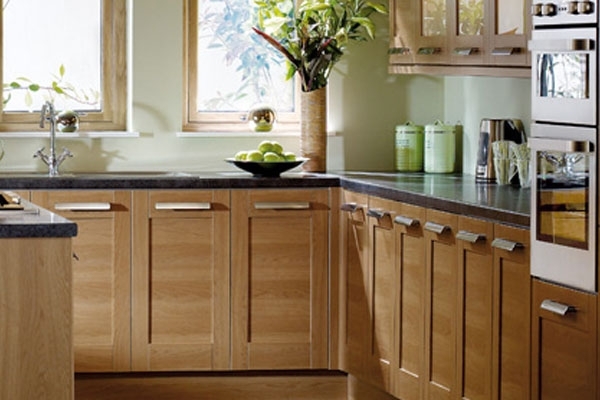 The latest results from the Nobia Group (April – June 2015) with 20-or-so brands including Magnet, Poggenpohl, ewe, Goldreif and Rixonway Kitchens enjoyed increased growth in its UK region with net sales up to SEK 1,571m. compared with SEK1,173m. for the same period in 2014. In Magnet, growth was mainly attributable to sales to consumers, but the project segment also grew. The Simply Magnet product range, which was launched during the third quarter of 2014, was well received by customers. Rixonway Kitchens, which was acquired in the fourth quarter of 2014, reported net sales of SEK 104 m. during the second quarter of 2015. Gross margin declined slightly, negatively impacted by lower sales values and an effect of the acquisition of Rixonway, and positively impacted by favourable currency gains and lower prices of materials. The improvement in UK operating profit was mainly due to positive currency gains and higher sales volumes. Nobia’s market in Central Europe meanwhile is deemed to have declined compared with the year-earlier period. The Austrian market performed particularly negatively during the period. Organic growth was negative too, and this said Nobia was attributable to both the Austrian operations and Poggenpohl. The decline in sales in Austria was due to a negative market trend. Poggenpohl’s sales decline was due to lower sales in own stores, and lower project deliveries to Asia.